The Registrar General, Jemima Oware, says the process of registering a business in Ghana has significantly improved. Speaking in an interview with Accra based Joy FM, on the ease of business registration, Jemima Oware explained that new technologies allow for businesses to be registered between two to three days and not months as has been reported by some entrepreneurs. “After you’ve gone through our processes we would give you a document to show when you should pick your document. This is within three working days for business names and five working days for limited liability but as a business department we have set our target of 2 working days’ business and 3 working days for limited liability, you can register in 2 days, no need for Goro boys,” Mrs Oware said. But the Registrar General wonders why some business owners prefer to use middle-men also known as ‘Goro boys’ to register their business when indeed they could save time and money doing so themselves. “Do not allow someone to register businesses for you. A business name that costs 50 cedis, you will now pay GH¢500 to a Goro guy to do that same registration for you, what’s the sense in that? We have directed our security to expel them from the yard. You engage with them at your own risk,” Jemima Oware added. According to the Registrar General, you will need GH¢10 to purchase a set of Limited Liability Forms. 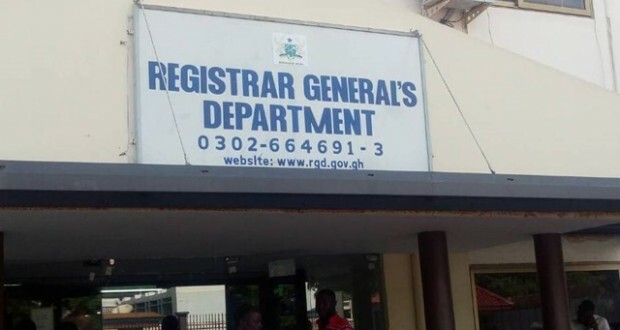 After lodging the completed forms at the Registry, you then pay a prescribed fee of GH¢230 after which the Registrar issues a certificate within 3 working days.